Saint Louis University High School sophomore Bryce Van Bree (at left), music director Jeff Pottinger (center) and senior Emanuel Parker discussed what the serendipitous experience was like on Tuesday’s show. 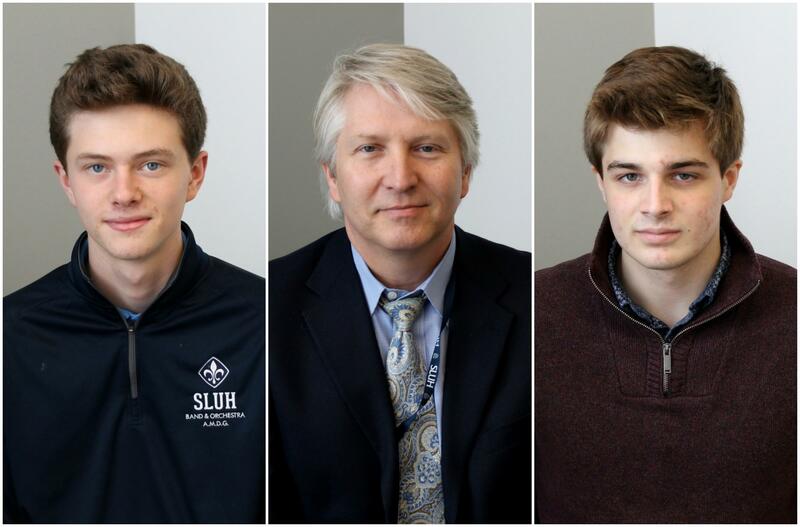 Two SLUH students – alto saxophonist Emanuel Parker and flutist Bryce Van Bree – also joined the conversation after returning home from their travels. Van Bree, a sophomore, recalled what it was like to continue playing his solo during the song “O Sacred Head Now Wounded” as the most powerful person in the Roman Catholic Church came into view. 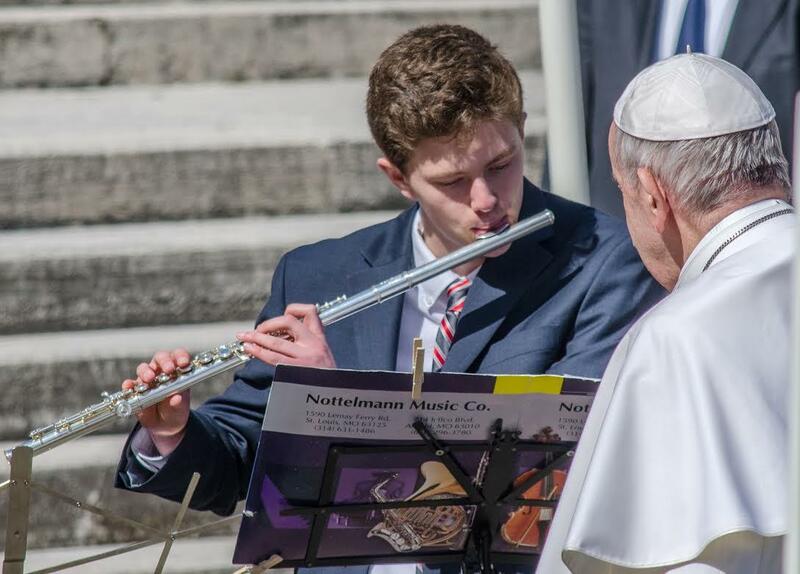 Sophomore Bryce Van Bree completed his flute solo in the Vatican last week despite an unexpected dignitary joining the audience. Parker said he too was able to continue playing his part of the Bach piece as the pope stood in front of them, though he and his bandmates admit it probably wasn’t their most focused performance. Along with the chance to perform for the pontiff, Pottinger said he was blown away by the personable interactions that followed the music. Pottinger said that the pope complimented the boys on their performance and also asked about the school, which is currently celebrating its bicentennial.